There comes a time in some people’s lives where their future quality of life comes down to how hard a solicitor can fight for them; such a situation arises when you are the victim of a catastrophic injury and need to claim. Injuries such as these often have an impact on every aspect of a victim’s life, as they can seriously affect personal relationships, prevent them from working, and enjoy life as normal. If a person who previously had an income loses it suddenly, it can result in serious financial hardship, and become a burden on their family or the state. Even injuries that you can’t see from the outside, such as a traumatic brain injury, can cause life-long problems. Catastrophic injuries and life-changing injuries often come with complications that make compensations claims particularly difficult. The seriousness of the claim can also mean that the parties responsible do their best to hide evidence or give false testimonies – which are often hard to dispute. Unless a specialist catastrophic injury solicitor handles the case, the compensation could be reduced, or the claim might be rejected outright. How can catastrophic injuries occur? In it’s simplest form, a catastrophic injury could arise from even a simple fall, one which results in a person sustaining a head or spinal injury for instance. Often, they are the result of a significant accident, such as a road traffic accident or an injury at work involving machinery. At the more extreme end, catastrophic injuries can occur as a result of exposure to toxic industrial chemicals or perhaps sustain the injury through the negligence of another, as might be the case in a medical or cosmetic procedure causing extreme complications post surgery due to mistakes. In short, there are a wide variety of circumstances involving accidents, in day-to-day life or at work, caused as a result of another’s negligence, that could give rise to a catastrophic injury claim. Amusement parks and fairgrounds where rides suffer catastrophic failures and cause serious injury to passengers. Procedural due diligence is more the realm of the solicitor working for you. However, as a claimant, exercising a little due diligence yourself can go a long way to helping your case. In many cases, this may simply be a matter of adequately documenting events, keeping notes of conversations and copies of emails, particularly if you’ve already tried to settle a matter with an insurance company before approaching a solicitor. At Romain Coleman, we receive numerous enquiries from individuals unsatisfied by claims they often settled years ago, but now feel the full effects of their injuries. It’s too easy for an insurance company to apply unfair pressure in settling a claim, often they know full well that the extent of the injuries may not be fully know for years and so it’s in their interests to settle early. Naturally, this often appears a tempting offer. Before accepting such an offer, contact a solicitor like Romain Coleman and let us manage the case on your behalf. 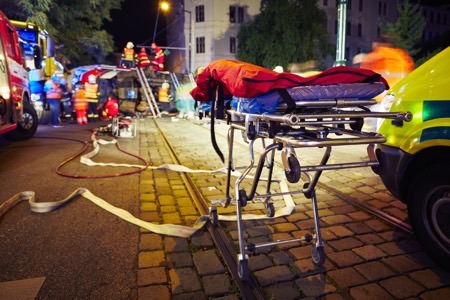 What happens after catastrophic injury? The most important aspects after an injury are associated with helping you recover and then rehabilitate. If there are long term care issues, then these need to be addressed as early on as possible. Our goal as catastrophic injury solicitors is to help you and your family make the necessary claims and recover as much compensation for your injuries as we can. If the person suffering the injury is the family’s primary breadwinner, then significant financial hardship may result, and it’s our goal to help reduce this burden. Why do you need a catastrophic injury solicitor to help? As specialised catastrophic injury solicitors, Romain Coleman will help you make the necessary claims and get the maximum compensation available to you. In some cases, recovery can take a lifetime, and in that case, issues regarding care and the costs involved need to be addressed. We aim to reduce the burden on your part and help you get on with your life. We don’t just receive enquiries from people who have recently suffered a catastrophic injury; sometimes, the full effects of a physical injury do not surface until years later, and the original compensation is not sufficient. Insurance companies may settle early, knowing full well that the claimant will suffer for years to come. Therefore, we recommend you contact us before accepting any offer of settlement, so that we can review your case. If you or a loved one have suffered a catastrophic injury, do not be tempted to hand your claim over to unqualified people. At Romain Coleman, we have taken on many such cases with success, and only appoint highly experienced catastrophic injury solicitors to handle them. Call us immediately on 0208 520 4555 to find out how we can help you get the maximum claim. In short, catastrophic injury claims is an area we are very experienced in, and we fight for you every step of the way. While that may sound clichéd, it’s true. All too often we hear of cases taken on by even reputable solicitors where the solicitor managing the case is not overly experienced and fails to get the best deal for their client. That’s not the case with Romain Coleman. If a loved one has suffered a severe injury and you need to claim, call one of our highly experienced catastrophic injury solicitors urgently so we can help you maximise your claim.